I tried it out on my server and it's amazing! Hope you can get the headtracking sorted out. My head pitch seemed to be tracked alright but the yaw and roll modifiers were way too high. Head tracking fixed? I hope so. I installed .15 and noticed the rotation is definitely happening too fast, about double feels right. I have a fraps recording of me rotating the rift 360 degrees with the debug info on with a stop at every 90 degrees. I noticed an occasional "jumping" of the video where it would shift locations sometimes when rotating, you will see this happen once in the video at the 25 second mark. Last edited by defactoman on Tue May 07, 2013 1:41 pm, edited 1 time in total. A quick install and test of .16 the headtracking feels about right! Thanks again for your help on this defactoman! Oh i noticed the UI bar that is normally transpartent and white at ground level, becomes it's normal (non-rift mode) granite texture when I hit the cloud layer. They should wait for the consumer version, they probably are going to be disappointed by the short comings of the dev kit. I don't think it'll be that large of a problem. They'll have a few months at least to really consider whether or not they really want the rift. I'd be willing to bet that most impulse buyers will cancel their order before they get a dev kit. P.S. Hey everyone, long time lurker first time poster. The dev kit is still amazingly compelling, and I see very little risk that reasonable people could be upset that what is very clearly labelled as a developer preview would have shortcomings. That probably is true, but those that are not going to cancel their order are most likely are going to be disappointed. The disappointed ones most likely are going to bash the Rift, which could affect the sales of the consumer version. All in all it´s bad for everyone involved (Oculus VR, devs, and the gamers themselves) if they buy a dev kt without knowing anything about it. Last edited by Marulu on Tue May 07, 2013 2:36 pm, edited 1 time in total. Yeah to be honest making any games available this early for a Dev Kit is sending the wrong message, we should all be silently making new experiences that blow people's minds when the consumer version rolls around, rather than hacking old games. I guess so many people have been waiting over 20 years to play such games and can't wait any longer, and it seems like a shame to let so many great 3D games go unplayed in VR. And I guess ports limit the risk of developing on a new platform without any quality content. MinecRift is probably the worse threat to my productivity but I'm glad it was so relatively quick. Thank you SetllaAtois, I can't wait to play it. Fantastic! 0.16 feels great on the headtracking. Just needs UI work now and it'll be perfect. A couple points of feedback - the crosshair is essential. I can at least see what block I'm hovering over because of the black boundary that shows up, but it's hard to know where I'm hitting in other situations (like trying not to die from a creeper). I think I'd like a headlook mode that doesn't control my crosshair, too. Then I could be mining something and still looking around to make sure I'm not getting ambushed. And of course, the UI needs to be fixed. Though I could do without just about everything else if I had hunger and health bars. But it's great so far! I'm looking forward to more updates. Also, don't play without sound unless you want to have a heart attack when a spider jumps on top of your head in a cave. Though I could do without just about everything else if I had hunger and health bars. I thought that was covered already, instead of a hunger bar, you're supposed to feel hungry now when you need food, and when your health bar runs out you die. 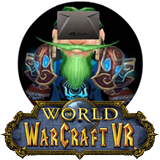 This new immersion thing is awesome! OMG 0.16 head tracking works great! I just walked through a snowy biome and it was awesome! It's got a great little spawn point. When you place your first chest down it will claim some protected land for you. All are welcome! Download and use mumble voice chat if you are able as I probably won't be able to see text chat since I'll be playing using the Oculus Rift. Yeah to be honest making any games available this early for a Dev Kit is sending the wrong message, we should all be silently making new experiences that blow people's minds when the consumer version rolls around, rather than hacking old games. Isn't the point of the dev kit to, you know, make (develop) games? How will developers know/learn what a mind-blowing experience is if they don't experiment and release things? There is value in hacking and modding old games for rift support. Have you not seen the cool things happening with Half-Life 2, Doom 3, Quake 3? These are old games and there are compelling experiences being developed for these old games. Despite the "lower performing" dev kit, I'm still inclined to believe that more of them out there, the better. Success for gaming hardware depends on critical mass. If enough people own it, there will be a large enough market, and that means more developer support. 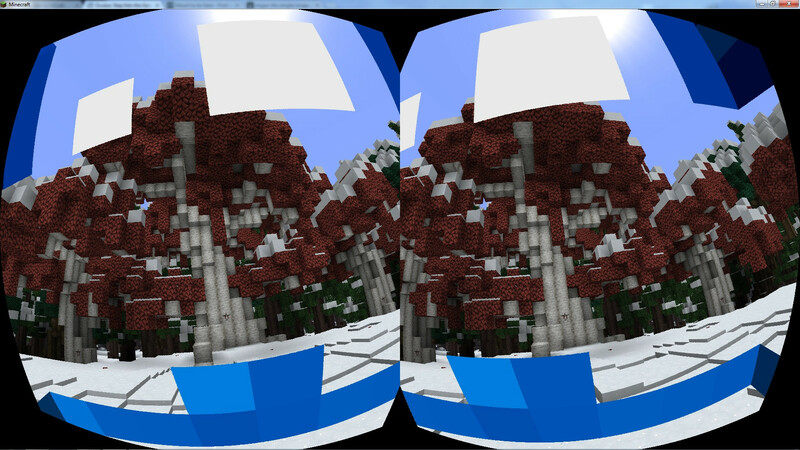 Right now Minecraft would be the largest games Oculus could have hopped for to get working support. Here here! Now is absolutely not the time to ask for conservative support. The more experience and enjoy the Rift now, the faster we'll get to living room quality hardware and games. Note for Stella, we've noticed heads do not render on other players. Been playing for a few hours, aside from the crafting UI it's running great. Running around exploring, mining, farming, chopping trees etc is all great. Edit: I just realized... all of that talk from people who have their Rifts about being inside a world you created, every kid who plays Minecraft on the Rift would experience that. The experience of your own work, could inspire game designers or real life architects. Neat! Last edited by unsilentwill on Tue May 07, 2013 11:36 pm, edited 1 time in total. This is by far the BEST thing I've messed around with in the Rift. Also, Thanks tmek! I'll be back! - GUI - HUD not readable. Inventory et al not in 3D. Mouse pointer off. - Heads not rendering on other players. Made me laugh that one - that's because I did a quick hack of the Player class to not draw the head when in 1st person - otherwise all you see is the inside of your head Looks like it affects all other players as well however! - Optifine support. I want anti-aliasing. I'll work on those first, probably in that order. They could take some time. In the mean time any other issues / feedback please add it to this thread, it will be noted even if I don't respond in person! Sounds fantastic! I'll be closely stalking this forum topic and testing your new builds as you release them! 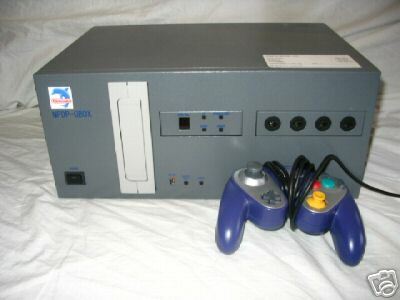 Quick question; How complicated/impossible would it be to get this to work with the OS X version of Minecraft? seems a bit negative. Are developers going to be so distracted playing minecraft that they won't make their own games? no. Games like this, and demos like the ones being released are really great for keeping the buzz up IMO. Okay okay! I said one negative thing about how I'm seeing young kids asking for devkits because of MinecRift, and the rest of my post is me backtracking from that stance and thanking the developer. Trust me, if anyone wants Minecraft on the Rift it's me. I didn't say it's a threat to everyone's productivity, but certainly mine . But so many people ask what playable games the Rift has or its resolution, when devkits are meant for making new content. I know that won't stop me or anyone else, and I know it it's not an either/or thing, but the less people expecting a consumer product of the devkit the better. And again trust me, I want to play every game I've ever owned on the Rift, I'm mostly parroting Palmer who places the emphasis on built-for-VR experiences, which honestly Minecraft isn't that far off of given its freedom of exploration and sense of presence. Keep up the good work, I'm mostly jealous of you guys playing it! I predict that the MineCrift bump will exceed the TF2 bump. The Rift needs the Colbert Bump to really kick it into overdrive. Installed the Redists for Vs2012, added the path and copied the DLL's for good measure. Did you try launching it with Administrator rights? That's what I have to do to get in-game (right click > run as administrator works for me). Would like to try it out, but it doesn't work for me. I couldn't find the VS distributables, could you possibly build the tracker software without it? Either way, I used 7Zip, removed the META file, added the additional classes and put the libraries in the natives folder. I set my system path (and tried my user path) to include %APPDATA%\.minecraft\bin\natives. I'm running Win7 64 bit. Copy them into your Windows/System32 dir. Is it me, or does it feel like things are starting to go exponential? Like some kind of VR singularity is emerging. Haha. I played MinecRift and the first thing I noticed is that blocks are HUGE. Makes sense though, since 2 blocks stacked equal the height of the player. Cows are HUGE. Everything is amplified. Going through mines is incredibly claustrophobic. I was so immersed that I forgot that there was no positional tracking, and I kept trying to peek out of my 1x1 windows to check for mobs. Digging straight up or straight down can be uncomfortable after a long time since it is required to look at the blocks that one is breaking. Strangely enough, since the world is made of blocks, the screendoor effect actually makes "sense." Animals coming out from behind trees are hilarious for some reason. I understand your frustrations. But the VR train is going strong. Angry kids talking crap about a devkit because it's a devkit will not stop this train at all. No need to worry. Then click "Visual C++ Redistributable for Visual Studio 2012" to expand the accordion menu for the download links. Thank you for hosting. I played on your server for a few hours. To increase the safety of the spawn point, I started digging an air gap around it. I also dropped as many torches around as I could. I was going to leave most of my items in a community chest, but I think your settings disallow that. I read the readme which was pretty handy as a start as I'm unknown to Minecraft modding; if you need a hand with any Opengl stuff I might be able to lend a reasonably experienced hand. Only thing really bothersome is the sudden jumps in head aiming. Kajos, does this occur randomly (like a texture loading 'hitch') or is it relatively reproducible in that it occurs when your head is in a similar orientation each time? ; if you need a hand with any Opengl stuff I might be able to lend a reasonably experienced hand. If you run without the Rift on, and run in windowed mode, resize the window you'll see the left pane has areas of the screen that have not been written to (are plain white). You then have to move the view around to 'wipe over' these uninitialised areas. If you turn off distortion (i.e. don't use an FBO) this doesn't occur. Any thoughts as to what I'm doing wrong with my FBO initialisation? I'm assuming it's some Open GL blend state or similiar that I'm not setting up correctly when I create the new (resized) FBO? Apologies if I'm making no sense with this. First I missed removing the META-INF but even after removing it I have this issue. Anyone has any clues or tips?